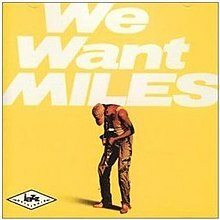 We Want Miles is a double album recorded by jazz trumpeter Miles Davis in 1981, produced by Teo Macero and released by Columbia Records in 1982. The album features one of the first live appearances by Davis in more than five years, at Boston’s Kix Club, on June 27, 1981. 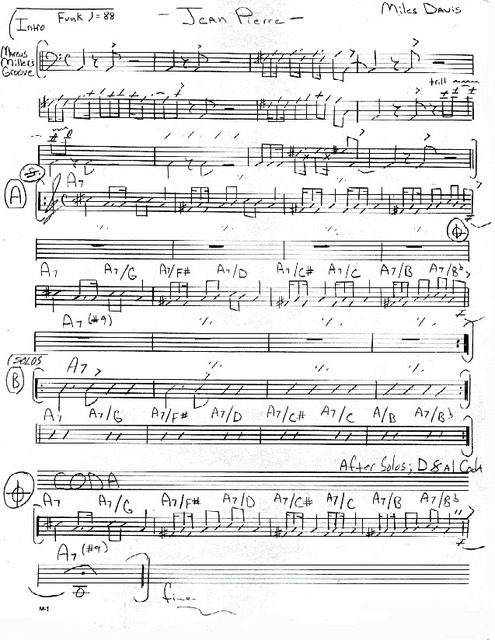 Other tracks are recorded at Avery Fisher Hall, New York, on July 5, and in Tokyo, October 4 of that year. First released on CD in Japan as a two-disc set (CBS/Sony CSCS 5131/5132), subsequent CD releases fit the music onto one disc. Columbia Recordshave never released it on CD in North America. This album won the 1982 Grammy Award for Best Jazz Instrumental Performance by a Soloist. It is the only official worldwide live release of Miles Davis’ band from his final years, since Miles! Miles! Miles!, documenting the show in Tokyo from which some tracks ended up on We Want Miles, was released exclusively in Japan. Trouvé sur internet, un grand merci au transcripteur.